After suffering some major setbacks last year—namely, losing both director Cary Fukunaga and potential monster clown Will Poulter—New Line’s rebooted adaptation of Stephen King’s It now appears to be back on track. 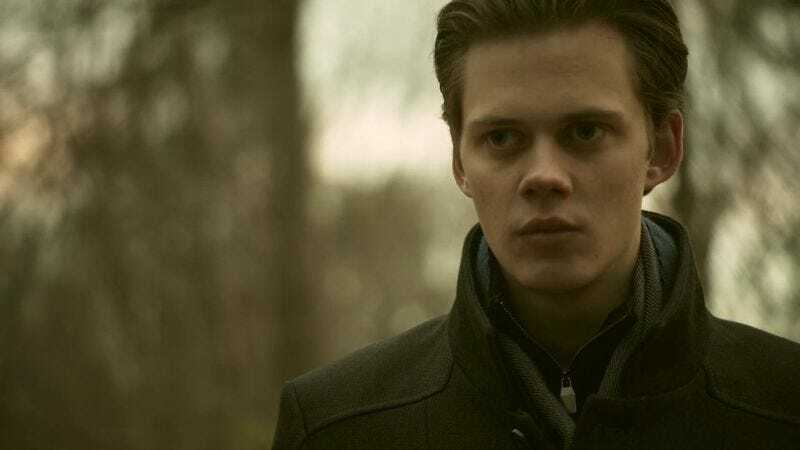 Variety is reporting that Hemlock Grove star Bill Skarsgard will be taking on the recently vacated role of Pennywise The Clown, stepping into the floppy, blood-stained shoes once inhabited by a typically restrained Tim Curry. Poulter’s departure reportedly left the movie’s producers with a bit of a quandary, debating whether to continue with a hip, younger version of King’s famous antagonist, or defer the part to a more traditional Hollywood heavy. (Default franchise bad guy Hugo Weaving seems to have been considered for the role.) But that idea apparently didn’t float (which is weird, because everything floats down here), and so the 25-year-old Skarsgard—who also appeared in a small role in the latest Divergent movie—will be taking on the part of Derry, Maine’s most flamboyant murderer of kids.